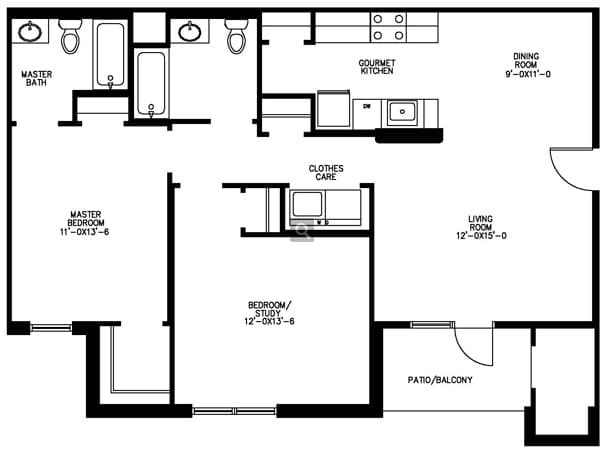 The Highland: 1 Bedroom/1 Bath-720 sq. 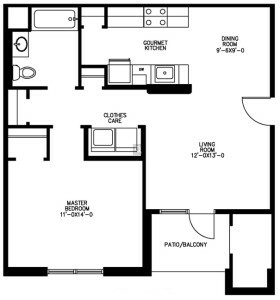 ft.
You will fall in love with our comfortable and spacious one bedroom apartment home! The Highland was designed with comfort in mind. Our spacious one bedroom apartment home includes a gourmet kitchen including a microwave, energy efficient designs, spacious closets, full size washer and dryer, and 24-hour emergency maintenance. At The Pointe at Pickett Farms, we believe it is the little details that make our living spaces stand out. Gated access, playground, state-of-the-art fitness center, sparkling swimming pool and water park are just some of the unique conveniences that set The Pointe at Pickett Farms apart. 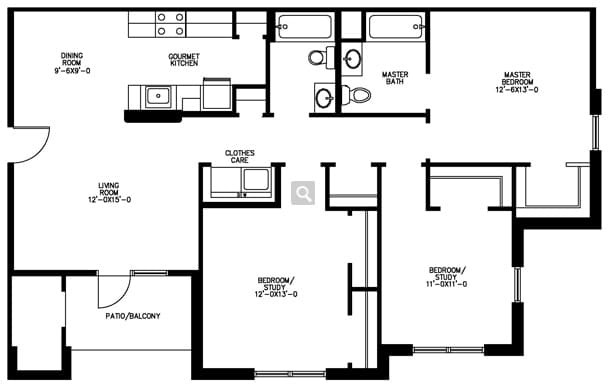 The Apaloosa: 2 Bedroom/2 Bath-1,035 sq. 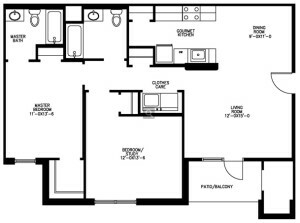 ft.
You will live in luxury in our spacious two bedroom apartment home! The Apalossa was designed to cater to your lifestyle. Our apartment and community includes a sparkling swimming pool and water park, playground, state-of-the-art fitness center, and has gated access. Our spacious two bedroom and two bath apartment home were built with energy efficient designs, gourmet kitchens including a microwave, spacious closets, full size washer and dryer, and 24-hour emergency maintenance. You can call The Pointe at Pickett farms your home today. The Peruvian: 3 Bedroom/2 Bath-1,222 sq. ft.
You will fall in love with our comfortable and spacious three bedroom apartment home! The Peruvian is the lifestyle you’ve only dreamed of. Our spacious three bedroom and two bath apartment offer exceptional amenities that include energy efficient designs, gourmet kitchens including a microwave, spacious closets, full size washer and dryer, and 24-hour emergency maintenance. Residents will be able to enjoy a playground, state-of-the-art fitness center, gated access, sparkling swimming pool and water park. Come home to The Pointe at Pickett Farms today.